Gregory Mark Oldford, M.D. is a partner in the Michigan Institute of Urology, P.C. Dr. Oldford is board certified in Urology by the American Board of Urology and is experienced in all aspects of adult urology. His special interests include Urologic Oncology (Cancer), Female Urology (incontinence), Endourology and minimally invasive treatments for stone disease. Research interests include cryoablation of prostate cancer in patients that have received prior external beam radiation therapy. Dr. Oldford received a Bachelor’s of Science Degree in Biomedical Science from Western Michigan University, Kalamazoo, Michigan in 1981. He then received his Master’s of Science in Genetics from Western Michigan University in 1983. Dr Oldford received his Medical Degree from Wayne State University, Detroit, Michigan in 1987. He completed his General Surgery Residency in 1989 and his Urology Residency in 1992 at the Detroit Medical Center. 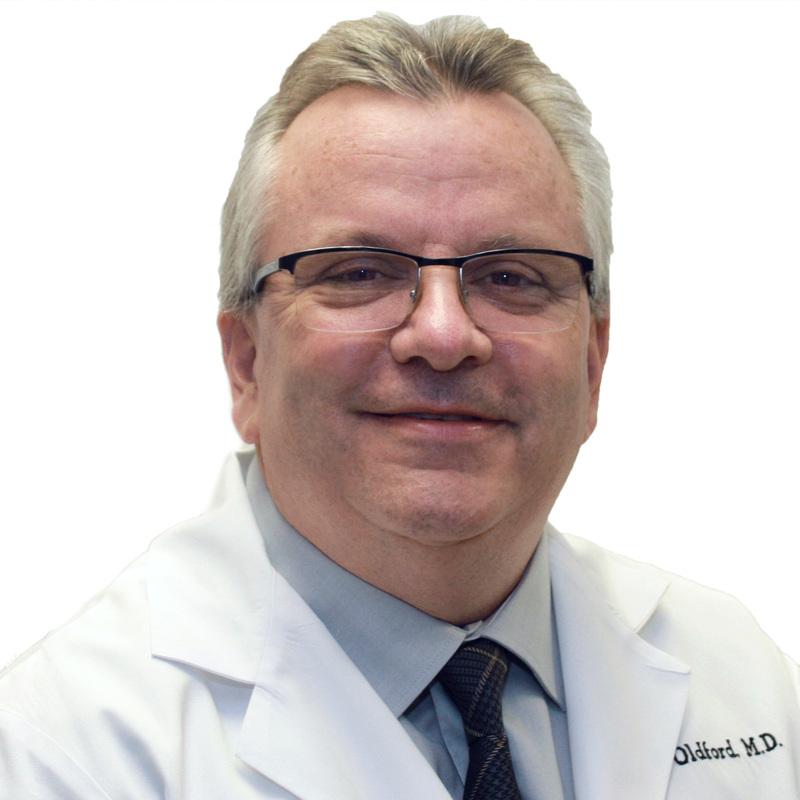 Dr. Oldford serves as Chief of Urology at Huron Valley-Sinai Hospital campus, Commerce, Michigan which is affiliated with the Detroit Medical Center. He sees patients at MIU’s Commerce and West Bloomfield – Haggerty Road offices. Dr. Oldford is an active member of the American Urology Association, Michigan State Medical Society, Oakland County Medical Society, and the American Medical Association. He is involved and sits on several committees at Huron Valley-Sinai Hospital (HVSH). Dr. Oldford’s personal interests include hunting, fishing, snowmobiling, motorcycling and boating. Focus Areas: Minimally Invasive Technique for Prostate and Stone Surgery, Male and Female incontinence, Endourology, and Sexual Dysfunction.